About the Therapist: Dr. Anupama Sharma , has her doctorate in the field of hypnosis and regression from the California Institute of Hypnosis. 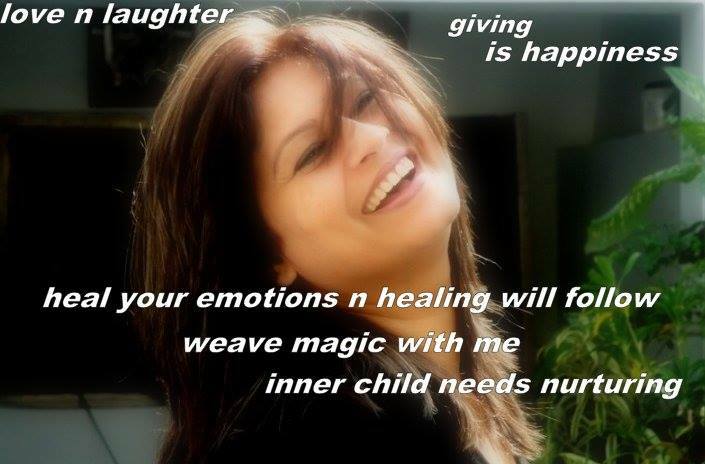 She has mastered various spectrums including Clinical Hypnotherapy , Psychotherapy and Past-life regression. She is a Master and Spiritual healer , Theta and EFT practitioner , Channelized meditation guide and also a Tao master under the guidance of Master Zhi Gang Sha of Tao discipline. For the past 8 years she has been practicing Spiritual Alchemy & Hypnosis and Family Constellations using Grid Matrix. Therapies being offered at the Center: Counselling, EFT, Family constellation, Inner Child Work, Aura Exploration, Regression Therapies- Trauma , Age & Past Life. Energy Exchange: Rs 3000/- per session of 1.5 hours or more as needed. Date & Time: Call Dr Anupama Sharma on 9011035444 to schedule an appointment.